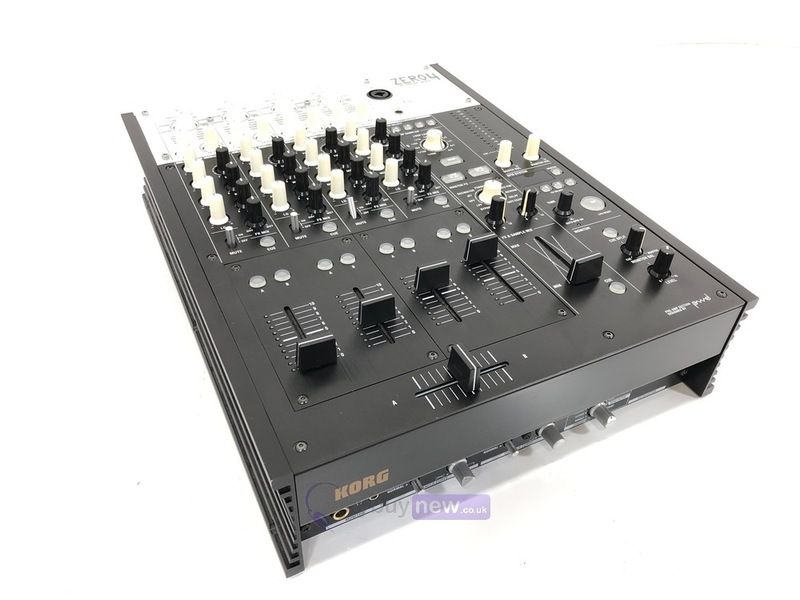 This Korg ZERO 4 DJ Digital Mixer has come to us via a part exchange and comes with a 3 month warranty. It comes with the power cable. This Korg ZERO 4 DJ Digital Mixer does not include original packaging but has been professionally packaged to ensure safe delivery to your door. 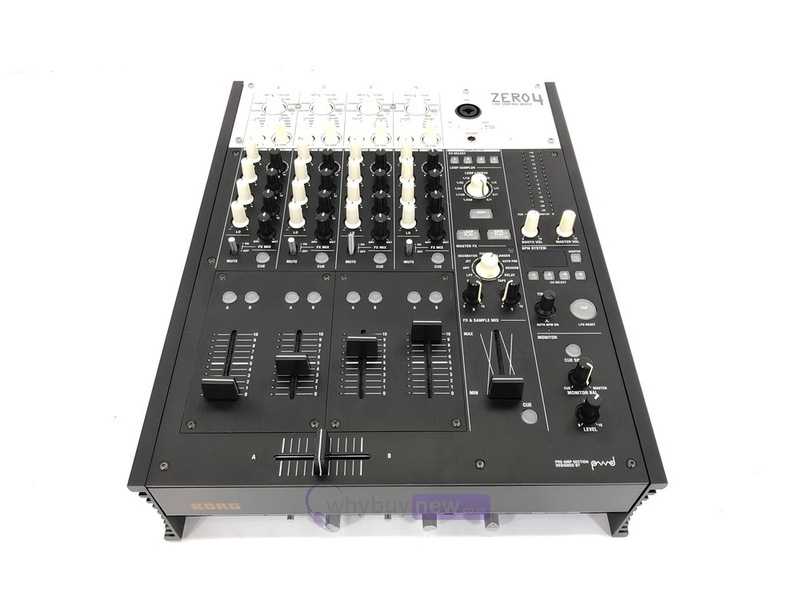 The Korg Zero 4 Digital DJ Mixer is designed to handle the demands of professional digital and traditional DJs with features that are well suited for project, remix and production studio recording. 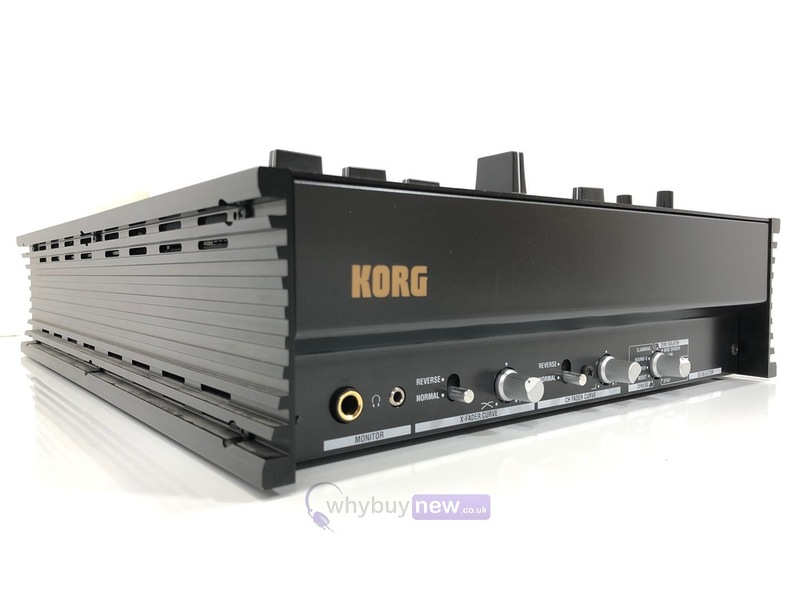 Four input channels are equipped with balanced 1/4" phone line, unbalanced line and phono inputs for maximum flexibility and integration with CD players, turntables, MIDI gear, turntables, etc. The powerful FireWire I/O is capable of supporting up to 24-bit / 192kHz digital audio and provide MIDI control over software parameters. Also featured are MIDI input and output ports for connecting keyboards and other MIDI hardware. 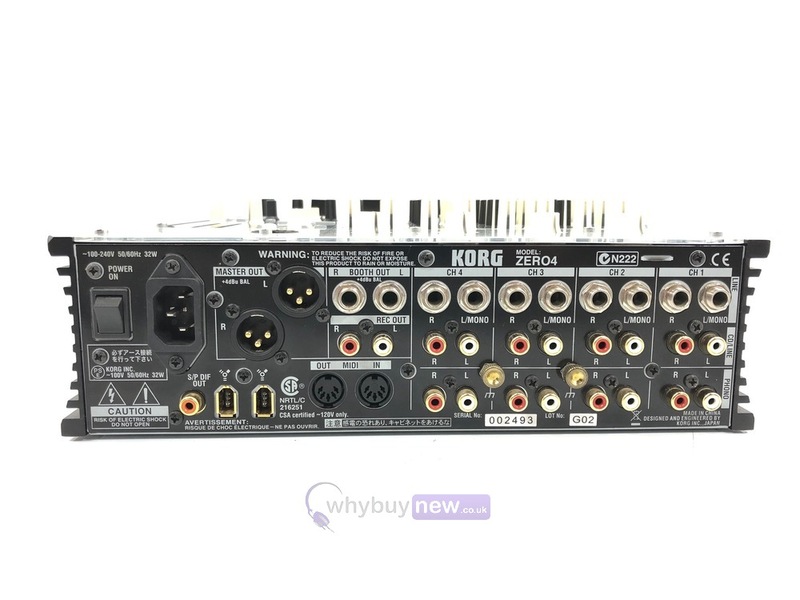 All this makes the Korg Zero 4 a viable audio front-end for any Mac or Windows based computer workstation. 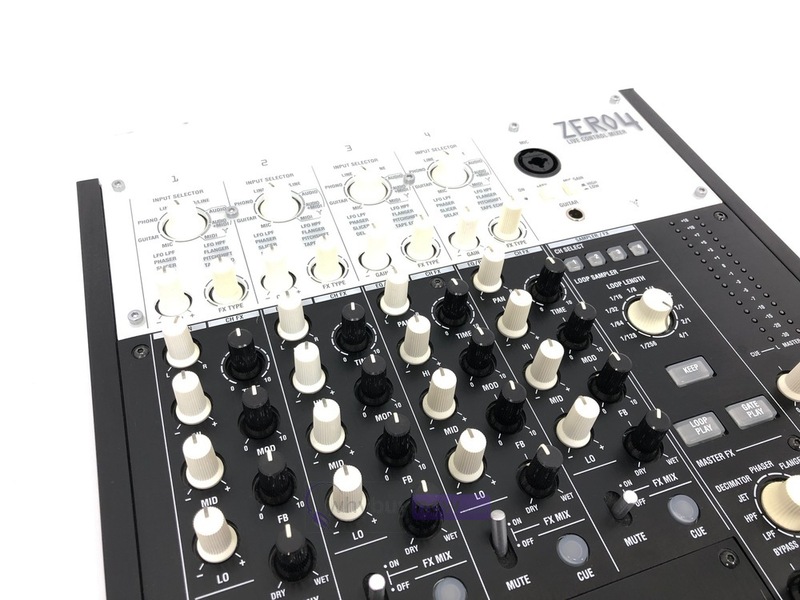 Its DJ features are equally impressive with a powerful, digital three-band EQ on each channel, and a full compliment of digital effects within reach. The output section features both balanced XLR and 1/4" phone analog outputs, unbalanced RCA outputs and S/PDIF digital output. All this in a compact, intuitive design that is guaranteed to please professional purist DJs and modern digital DJs alike. The powerful FireWire I/O is capable of supporting up to 24-bit / 192kHz digital audio and provide MIDI control over software parameters. Providing an EQ section with eleven different simulation types; they cover needs ranging from corrective equalization to boldly creative sound-shaping.